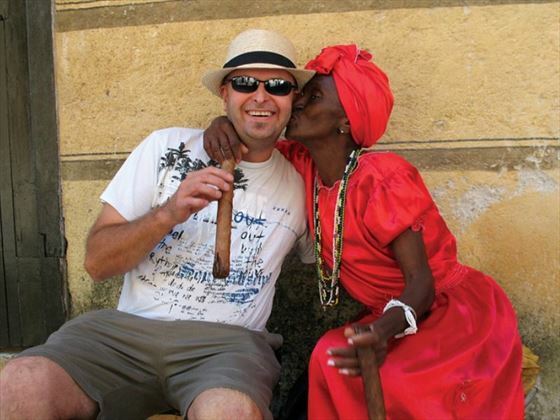 Beautiful Cuba, escorted tour. Book at Tropical Sky. 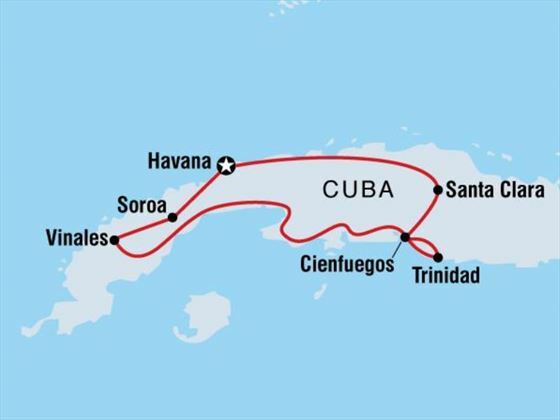 On arrival in Cuba you will be transferred to your Guesthouse, where a pre-tour briefing will take place at 7pm. Here you’ll be able to get to know your local guide and other members of the group, before an optional group dinner. 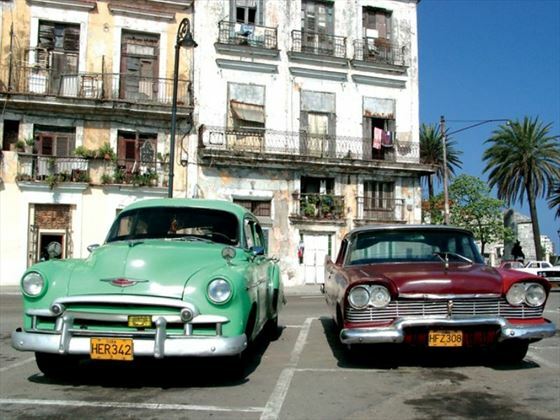 Start the day with a laidback walking tour of Old Havana which will lead you through the city’s captivating landmarks, including the impressive Havana Cathedral, the historic Plaza de Armas, and Central Park with its abundance of vintage cars. You’ll then be driven to Soroa, a luscious reserve in a sweeping valley, where you’ll tuck in to a light lunch and stroll through an orchid garden. 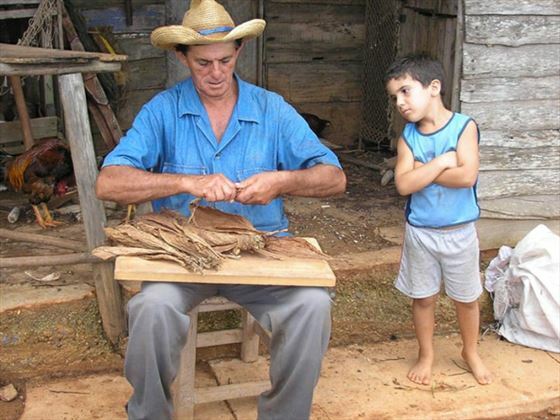 Afterwards you will continue on to Vinales to witness the striking plains of tobacco and sugarcane fields, with optional activities such as cycling the surroundings, hiking through the tobacco grounds, or hiking to mountain caves. 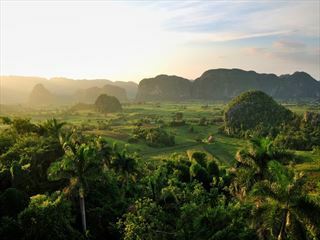 In the morning you’ll enjoy a relaxed walking tour through the charming Vinales village, ending with a fun, informal salsa session for the evening ahead. The afternoon is spent at your leisure, or there are a variety of optional day trips. 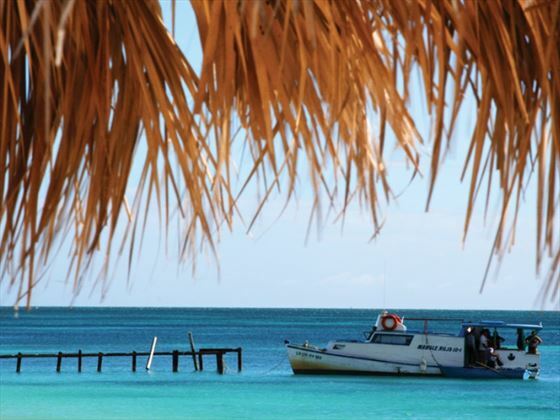 Choose from soaking up the sunshine on the stunning beach of Cayo Jutias, exploring the remarkable Santa Tomas cave complex – one of the largest in the Americas – or venturing on a thrilling Cueva del Indio cave walk and boat trip. 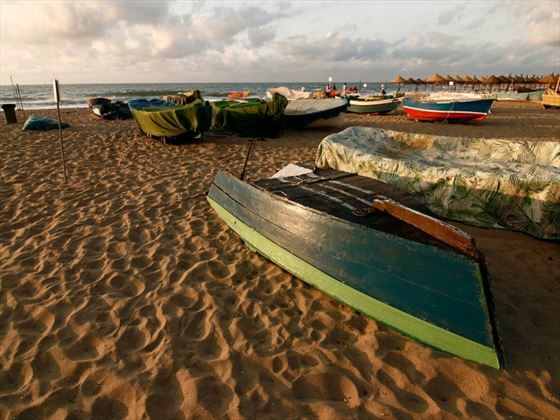 In the evening you can mingle with the locals, a friendly bunch that happily drink rum and dance until dawn. You’ll get plenty of great photo opportunities during this day of sightseeing in Trinidad. After a bus ride to the bustling city, you will have the whole day to explore at your own pace. 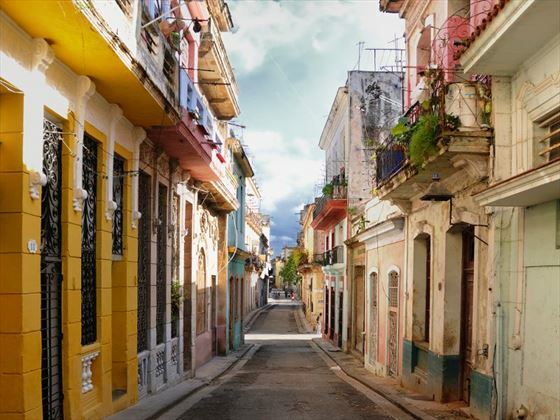 A colourful city with cobbled streets and colonial buildings, you’ll spend the day marvelling at its beautiful surroundings. Listen out for old Chevrolets driving past, and wander past bright houses where locals usually relax and smoke cigars on their doorstep. 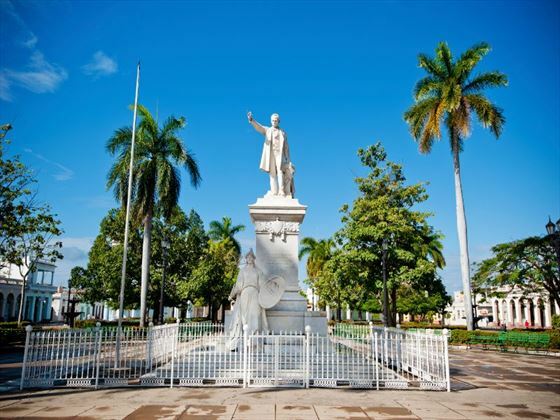 Your second day in Trinidad will also be free for you to appreciate the city in your own time. 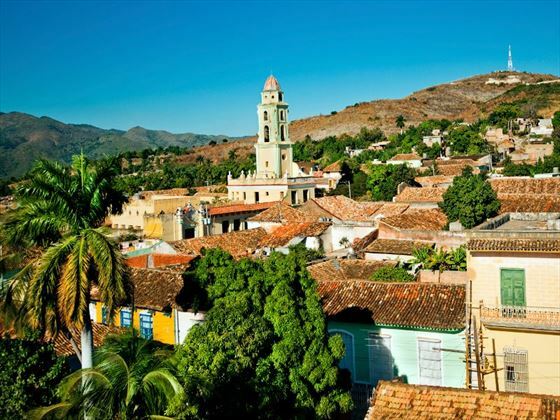 There’s plenty to see and do here, including the grand Spanish-style churches or the rolling sugar plantations nestled in the Valle de los Ingenios. You could even saunter to Playa Ancon for its stretches of white sand and great snorkelling excursions – though watch out for sea urchins. Trekking, hiking or even horse-riding through the local, soaring mountains of Sierra del Escambray is a fantastic way to while away the afternoon, or be entertained by one of the folklore dance and music shows in one of the open-air venues. 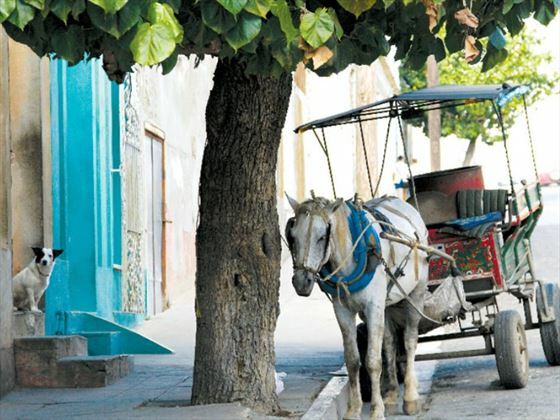 The morning will being with a short drive to the charming seaside town of Cienfuegos, where you’ll embark on a guided exploration of the impressive Palacio del Valle. 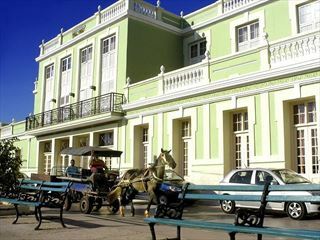 Known as Cienfuegos pride and joy, this tour will delve you in to its rich history as you explore its gothic architecture and luxurious décor. Whilst travelling back to Havana, you’ll stop at Santa Clara to visit the interesting Che Guevara mausoleum, which houses the remains of the revolutionary leader Ernesto ‘Che’ Guevara. Here you’ll be immersed in the legacy of Ernesto, wandering through a plethora of artefacts, including letters and medical devices. 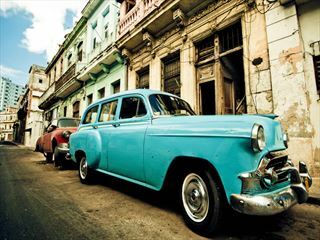 Your last evening will be spent relishing a group dinner and salsa dancing in Havana. After breakfast, your trip comes to an end. Check out at 10am.